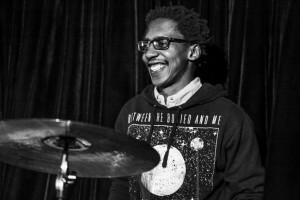 Mandisi is a drummer and composer, who moonlights as a writer. He currently resides in Cape Town, South Africa, and spends most of his time beating drums and jump-starting his career as a songwriter. While he is more focused on his music career, he remains incurably addicted to writing and, due to this affliction, Mandisi skulks off, from time to time, and writes until he has had his fix. King Charlatan, his poem featured in The #Coinage book One, is a highly-charged commentary on the morally ambiguous political parties in South Africa. The titled is derived from a notable and favourite novel of Mandisi’s by China Miéville, King Rat. Mandisi’s fictional pieces haven previously been published in Sable LitMag and AfroSF: Science Fiction by African Writers and Unconventional Fantasy: Forty Years of World Fantasy. Twitter, or Instagram, is the best way to keep up with Mandisi, however, one is likely to be bombarded with links to his music, band performances, esoteric music as well as random politically incorrect banter and strong anti-establishment sentiments *I like – Try*. Follow at own risk as Mandisi is not to be held liable for any brain damage incurred. He also takes zero responsibility if offended.